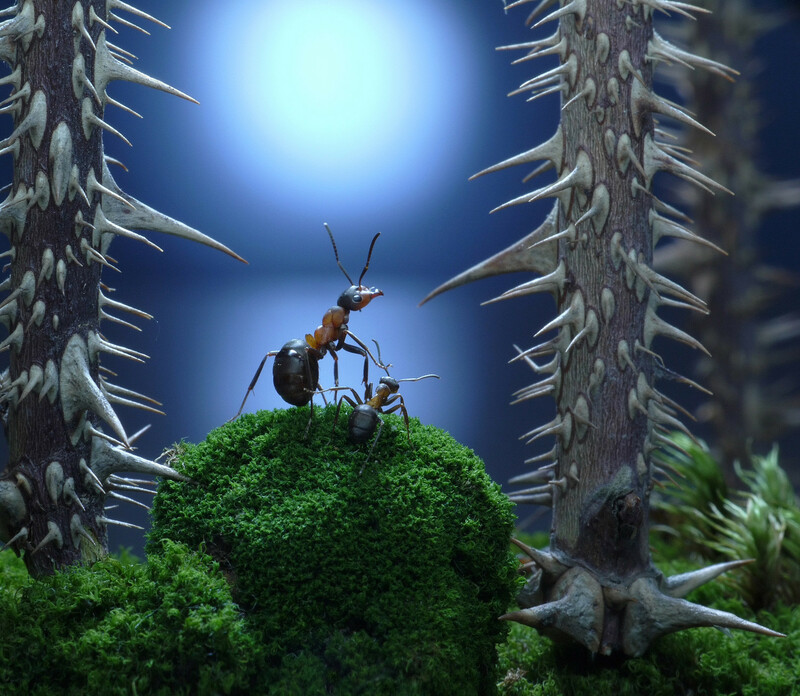 A spinal injury forced brave polar explorer and meteorologist Andrey Pavlov to return to his native St. Petersburg where he unexpectedly found solace in photographing ants and their amazing lives. Andrey Pavlov lays the blanket on the ground and settles himself in close proximity to the anthill to observe its inhabitants’ daily routines. This way he learns about the insects’ habits, daily life, and the colony’s internal organization. “I studied the ins and outs of digital photography on a square meter of grass beside my country house, with all its inhabitants included. I was fascinated by them,” Pavlov said. 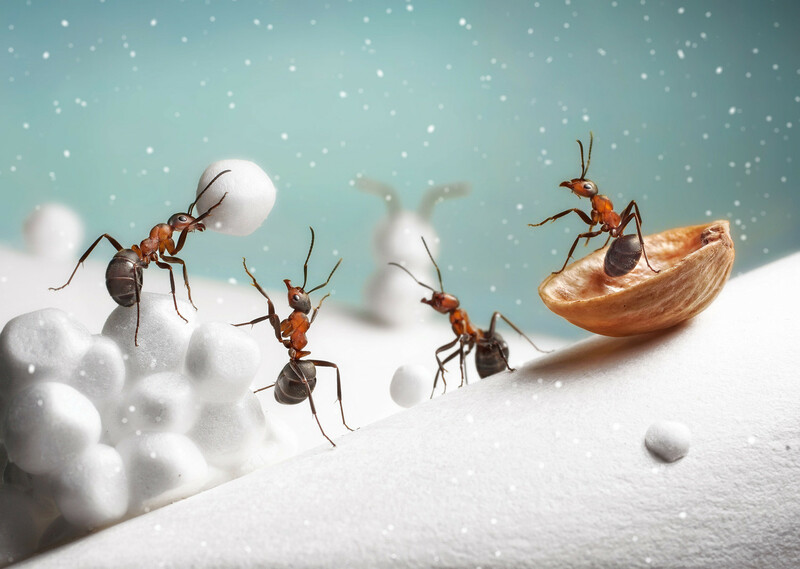 It took the photographer three years to build a relationship with the ants and their home, and to hone his skills directing his tiny actors. 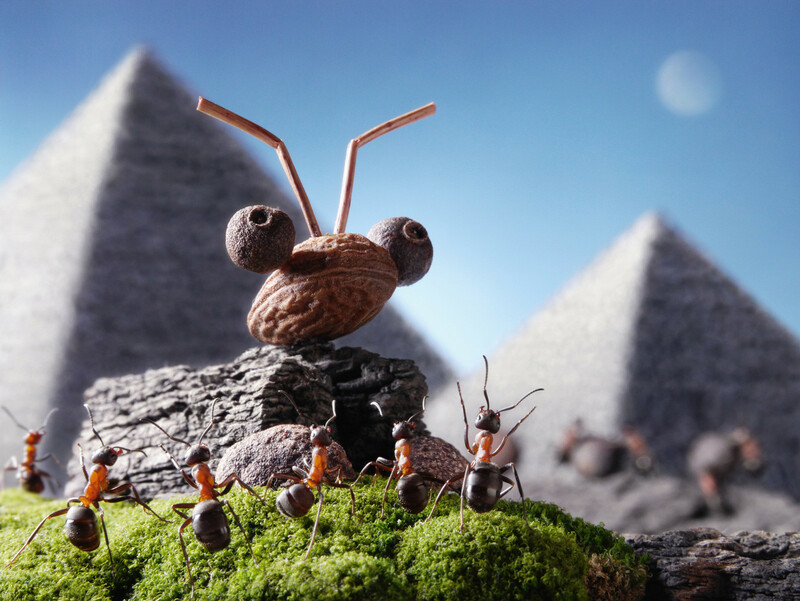 The photographer exploits the ants’ natural curiosity. 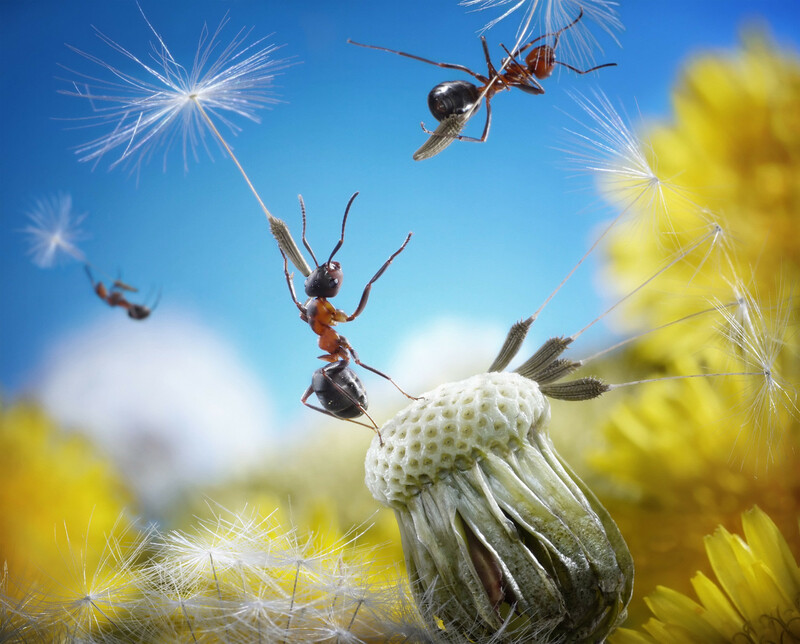 He simply places objects next to them or carefully picks them up and places the insects in certain situations against backdrops. 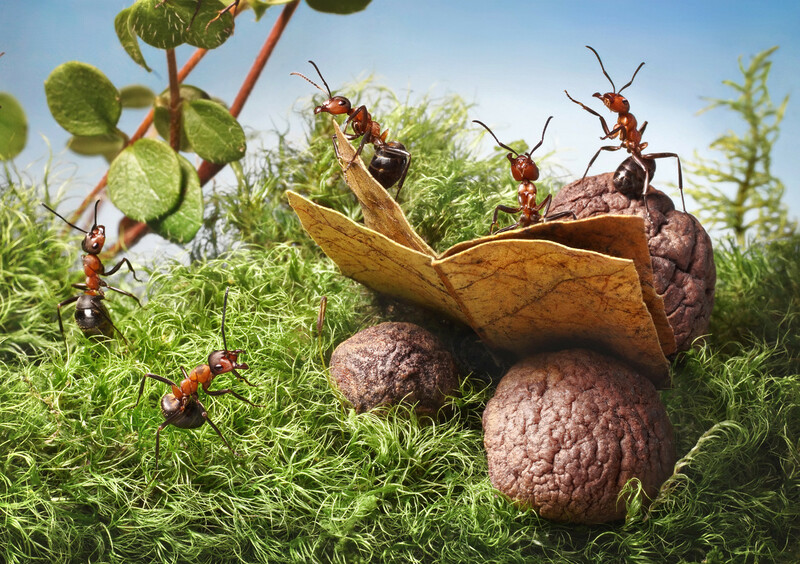 The curious little critters can’t help but explore their surroundings. 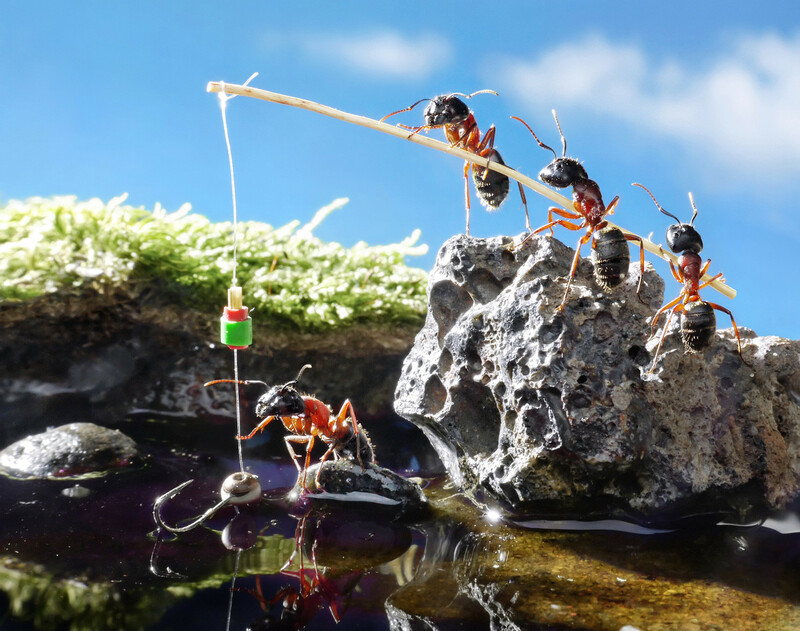 Researchers studying ants agree with the photographer. 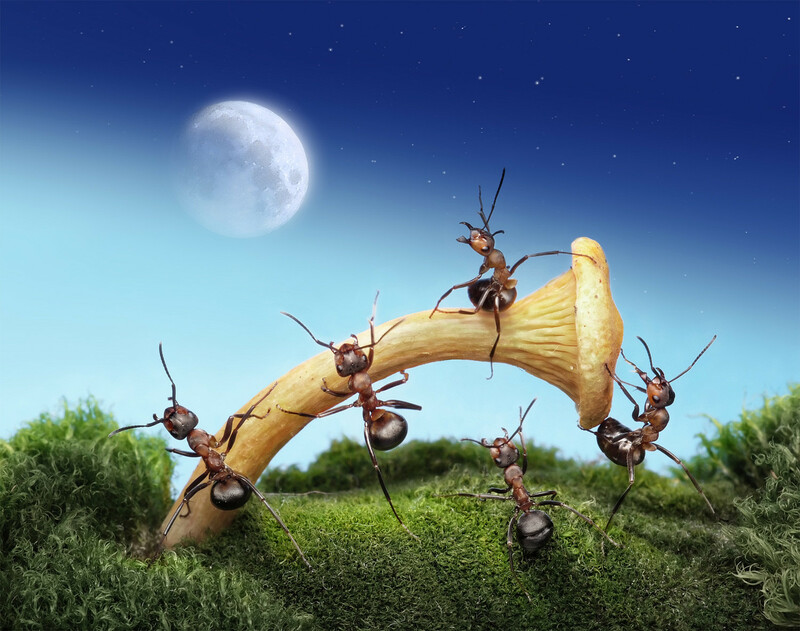 “Ants have a strict division of labor. 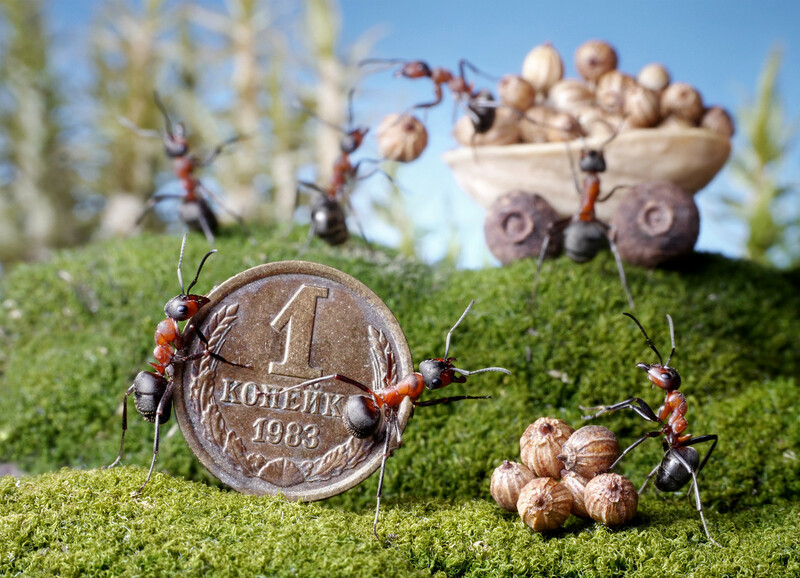 A few days after leaving the cocoon, a working ant can choose a profession,” Anatoly Zakharov, a scientist who studies ants in great detail, said in an interview. 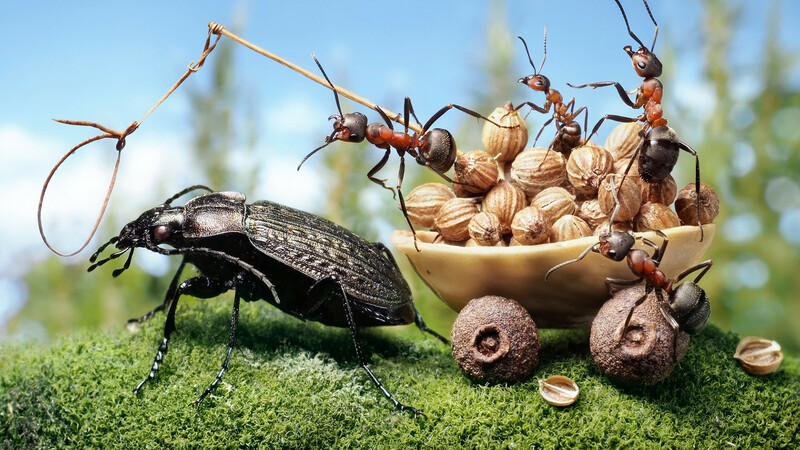 “Ants have real schools...First, a female lays an egg...When an ant is born it is looked after by special ‘babysitters.’ On average, one newborn ant has 2-3 ‘babysitters’ who help it get out of the cocoon, feed, and clean it. 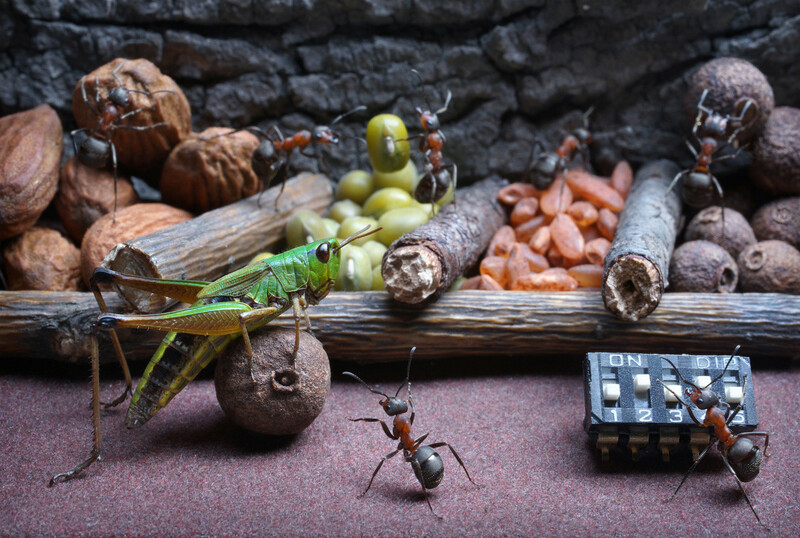 In this sense, ants are superior to humans, since we have a long-lasting kindergarten shortage problem,” said the scientist. 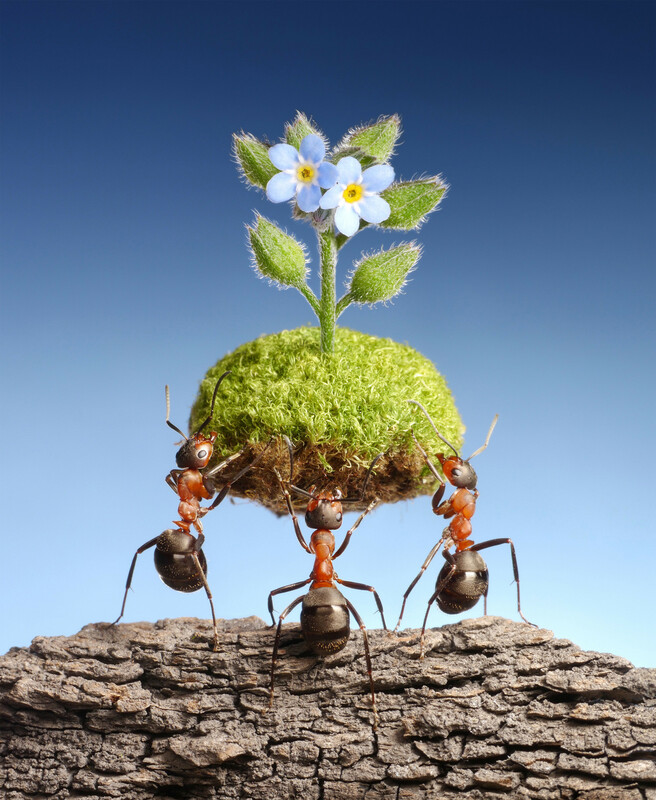 “Red wood ants, aka Formica Rufa, has overcome all the obstacles and reached a level of social collaboration far beyond that of other terrestrials. This fact is, although unwillingly, admitted by homo sapien scientists,” reads the photographer’s webpage. “Childhood and education are secured here. The career choice is free. Individuality is respected and talent acknowledged. Senility - dignified. An individual cannot imagine their life without the family and will give their life for them (which is understandable for many humans). To achieve a common goal they are eager to cooperate both with amateurs and with their own equals in abilities and intellect, the latter unfortunately is yet to be achieved by humans,” concludes Andrey Pavlov. Photography was also Romanov's hobby. Click here to see their shots.